16 Oct 2018 --- Obesity, insulin resistance and addictive life-style behaviors may be passed to future generations as a result of a high-fat maternal diet during, before and after pregnancy. A mice study, published in Translational Psychiatry, notes that the effects of the high-fat diet might even be passed on for three generations. This was the case although the original female mice never became obese and none of the following generations consumed a high-fat diet. The study highlights the strong potential for identifying underlying mechanisms that may be risk factors for people in developing obesity or addictions. “The surprising result is that even though female mice may not develop obesity during their pregnancy, eating a fat-heavy diet during pregnancy and the first stages of breastfeeding caused problems with obesity and drug addiction in their offspring that lasted three generations. Interestingly, there was a stark difference between the two sexes in the third generation,” Dr. Daria Peleg-Raibstein, the corresponding author, tells NutritionInsight. The authors investigated these effects specifically for transmission via male offspring up until, and including, the third generation. They fed female mice either a high-fat diet or a standard diet for nine weeks – pre-mating, during pregnancy and during lactation. Their male offspring were then mated with females that had been fed a standard laboratory diet to generate the second-generation offspring. The male offspring of these mice was again mated with females that had been fed a standard laboratory diet to generate the third-generation offspring. The authors measured body weight, insulin sensitivity, metabolic rates and blood plasma parameters such as insulin and cholesterol in second and third-generation offspring. In behavioral experiments, they investigated if the mice chose a high-fat over a standard laboratory diet or an alcohol solution over water, as well as their activity levels after exposure to amphetamines. They did this to understand better if a maternal high-fat diet had an effect on obesity, overeating and drug sensitivity in subsequent generations. The researchers noted that the grandchildren of mice that had consumed a high-fat diet showed addictive-like behaviors as well as characteristics of obesity. In third generation offspring (the great-grandchildren), the authors observed differences between males and females, with only females showing addictive-like behaviors and only males showing obesity characteristics. The study presents an interesting look into the nature versus nurture debate when it comes to lifestyle-related health issues such as obesity. “To combat the current obesity epidemic, it is important to identify the underlying mechanisms and to find ways for early prevention. The research could help improve health advice and education for pregnant and breastfeeding couples and give their children, grandchildren and great-grandchildren a better chance of a healthy lifestyle. 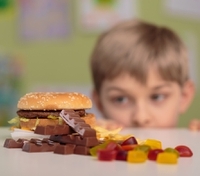 It may also provide a way of identifying risk factors for how people develop obesity and addiction and suggest early interventions for at-risk groups,” says Peleg-Raibstein. Although the study focused on mice and this present difficulty in applying the conclusions to humans, Peleg-Raibstein states that “studying effects of maternal over-eating is almost impossible to do in people because there are so many confounding factors, such as socio-economic background or parents’ existing health conditions. Many people also have underlying genetic risks of obesity and addiction that have nothing to do with environmental factors that your forebears might have been exposed to,” she adds. “Future research will need to investigate further the underlying mechanisms of how maternal overnutrition can lead to hedonic-like and obesogenic traits in the subsequent generation. This will allow the development of early intervention in order to reduce or prevent the development of these disorders,” Peleg-Raibstein concludes.